Eric Musselman’s squad throttled Utah St and is now 14-0 (4:56). Nevada football finished the season with a borderline miraculous bowl win (12:47). 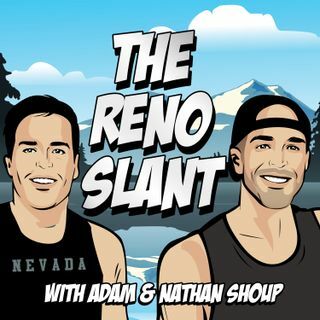 NSN’s Chris Murray rejoins the show to discuss the bowl win, how Nevada can earn a 2 or 3 seed, and how nervous we should be about the UCLA opening (23:01). The Wolf Pack heads to The Pit for the first time since the 25-point comeback (56:11). For slants, the Shoups make Wildcard Weekend betting picks and go Roadtrippin’ with Chad Hartley (1:12:20).